What does it REALLY take to get an offer on your home within your desired time frame? Homeowners have many different reasons for selling their home. 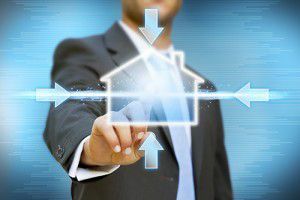 Whether upsizing, downsizing, or due to unforseen economic issues, it’s important Marketing your real estate listingsto garner as much attention from buyers in an effort to sell it as quickly as possible. Of course, pricing your home right is the first step, and we’ve covered that issue at least a few times in the past. However, feedback from potential buyers is critical in making sure that your home is indeed appealing to those who may be interested in purchasing your home. And how do we generate feedback from buyers? First, we get them through your door. And how do we do THAT? Marketing, of course! Welcome to the future of real estate marketing. In the “old days” before the establishment of the World Wide Web, real estate agents were limited in their efforts to marketing their listings to print ads, direct marketing, and good old fashioned door knocking. Fortunately in today’s technological world, we are able to market your listing much more quickly, and to a larger audience. Not only that, the techniques we now use can provide you with nearly instant feedback. Our virtual tours provide our sellers with weekly emails showing viewings and interest, and we can also generate these reports at any time per your request. The social media phenomenon has created even greater opportunities for us to promote your listing to a targeted audience who may be looking for a home just like yours. This means much less marketing “guesswork,” and more direct results in generating buyer interest. Want to know more about how we can sell your home fast and for top dollar? Contact us by calling either of the numbers listed at the top of this page, or by using the Quick Response form below. Also, feel free to “like” the Montemayor & Associates Facebook page to see our latest listings and real estate updates.